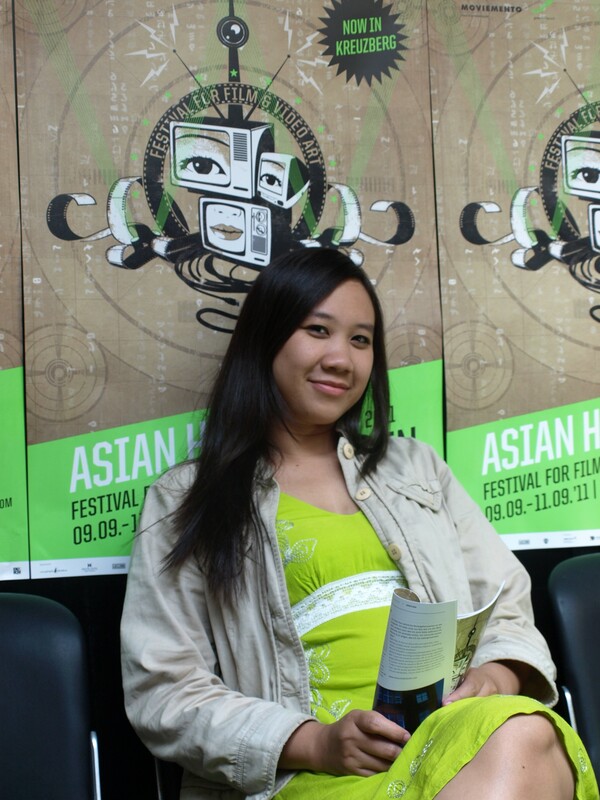 Sofia Setyorini is from Indonesia, did an internship with Asian Hot Shots Berlin in 2009 and curated the ScreenDocs! this year. My internship at AHSB in 2009, my most memorable in my life. The best moment in my life, nothing compare. I won’t check out places, but i will meet all my lovely friends that i met here, then looking for Turkish restaurant to find rice. A lot actually, but i like Fatih Akin’s film. People are getting to know about Indonesian films. This entry was posted on September 11, 2011 by greenchilies. It was filed under Uncategorized . Important Announcement: Asian Hot Shots Berlin Farewell (for a while)! This Friday, there is a “Message from Space” for you!